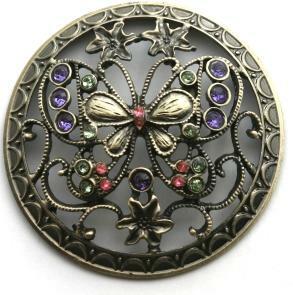 Mini butterfly pot pourri or jewellery box lids are decorated with an assortment of coloured jewels (faux crystals); these will vary from the photo. Lid diameter 58mm in antique bronze colour. Centre Flower Mini Lid JFD01 They are 15mm high and 57mm in diameter. 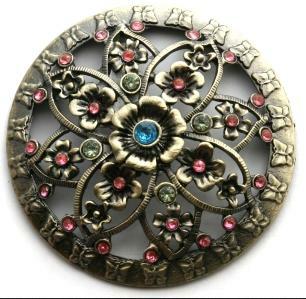 A great addition to your jewelery boxes, or any project with a lid. 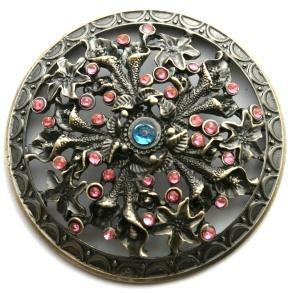 Centre Flower Mini Lid JG03 They are 15mm high and 57mm in diameter. A great addition to your jewelery boxes, or any project with a lid. 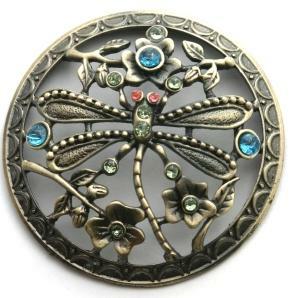 Dragonfly Mini Lid JDF01 They are 15mm high and 57mm in diameter. A great addition to your jewelery boxes, or any project with a lid. 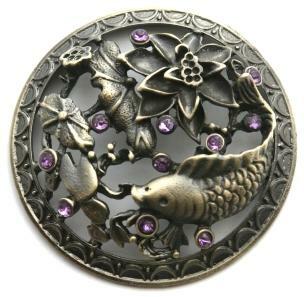 Fish Mini Lid JF01 They are 15mm high and 57mm in diameter. A great addition to your jewelery boxes, or any project with a lid. 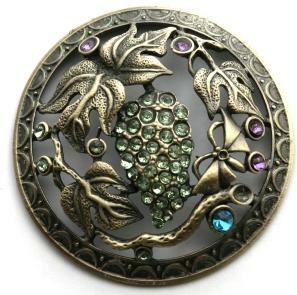 Grapes Mini Lid JGR01 They are 15mm high and 57mm in diameter. A great addition to your jewelery boxes, or any project with a lid. Honey Eater Mini Lid JHE01 They are 15mm high and 57mm in diameter. A great addition to your jewelery boxes, or any project with a lid. 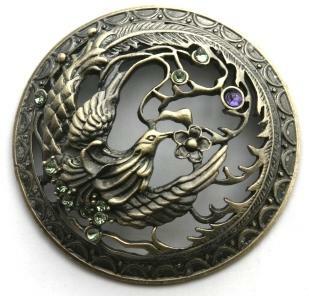 Lillies Mini Lid JL01 They are 15mm high and 57mm in diameter. 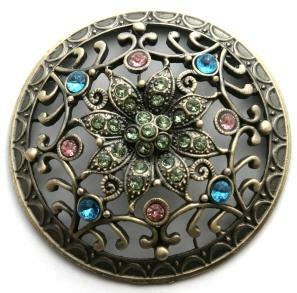 A great addition to your jewelery boxes, or any project with a lid. 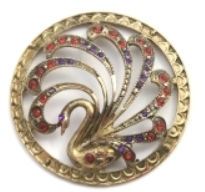 A peacock tail on display makes a great mini pot pourri or jewellery box lid, decorated with an assortment of coloured jewels (faux crystals); these will vary from the photo. Lid diameter 58mm in gold colour.